Premier Auto Trade has announced the opening of a distribution centre in Adelaide to service the growing South Australian market. Due to continued growth and increasing market demand for engine management and service components Premier Auto Trade continues to expand its national distribution centre network. The Adelaide premises offer over 375 sq metres of warehouse and office facilities and is located just 10 km out of Adelaide city in Woodville North. The new Adelaide Distribution Centre will be opening 1st July 2013. 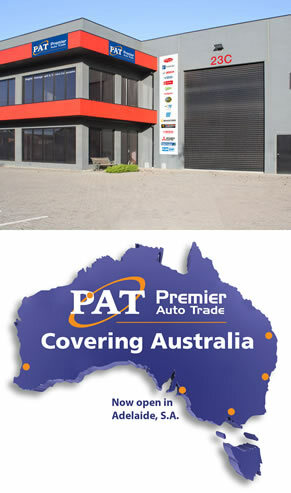 “Following the recent opening of our Perth warehouse we are pleased to now announce the new Adelaide facility” said Jim Cots, Director of Premier Auto Trade. “We are focussed on our resellers and our new Adelaide distribution centre is the next step in allowing us to deliver leading service to the South Australian market. We wanted to be able to offer our South Australian based resellers same day access to our more than 8000 stock product lines” said Cots. Established for over 20 years Premier Auto Trade is the leading national supplier to the independent aftermarket of genuine and original equipment (OEM) engine management and service components from the world’s leading manufacturers including Delphi, Bosch, Pierburg, Denso, Standard Motor Products, Walker Products, Valeo, Bougicord, Bremi, Hella, Intermotor, FAE, PlusQuip and VDO. Premier Auto Trade distributes across Australia through a network of specialised resellers and leading automotive retail groups.